Ai Editorial: For dynamic pricing to work, what sort of leap is needed? 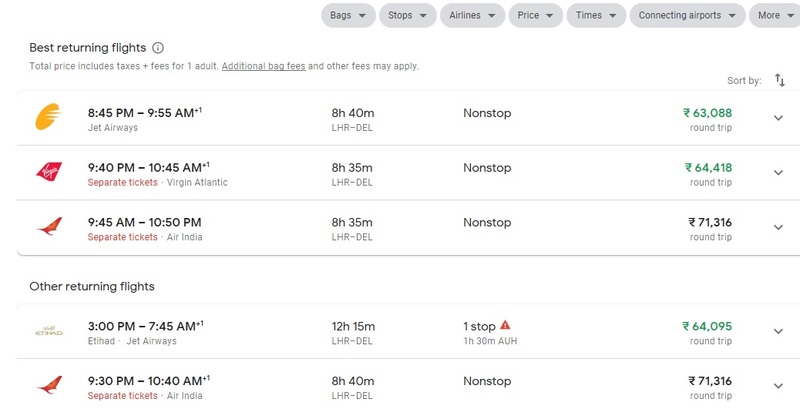 Calculating the availability of a seat in real-time and pricing what is to be offered accordingly is one of the most intriguing facets of the overall offer optimization. The prevalent inflexible cabin structure or reservation booking designators is being termed as an irrelevant way of functioning in today’s digital era. As IATA asserts, every possible grouping of “service, price, conditions and customer restrictions are issued” by the carrier prior to any request even being made. These are then chosen and utilized at the time an offer is priced. The industry is attempting to overcome limitations, including the number of price points offered. In fact, what airlines can offer isn’t just about a seat or an air ancillary. Dynamic Offer refers to a defined set of products and services, with a defined set of conditions, offered in real-time, on a one-time basis, and, in response to a request. IATA states it features contextualized and relevant offers, referencing who is making the request, Total Offer Management of both flights and ancillary products, and continuous price points. What is being envisaged is – working on continuous pricing (the airline does not pre-define price points, prices are worked out in real-time based on particulars of a request and guided by data science) and dynamically managing the offer (including ancillary offerings; to dynamically working out several bundles, promotions and offers). There have been discussions around drifting away from distinct inventory and pricing processes, capitalizing on data sources not being counted upon and eventually banking on the prowess of artificial intelligence. Sophisticated retailing entails AI-enabled dynamic pricing, and this encompasses all channels, with the same for indirect channels being facilitated by NDC standard as airline would respond to every shopping request with a tailored offer. Since AI’s efficacy depends on the availability of the input data, capturing and processing of the data is key. So where does the industry stand today? On one hand the industry is making progress, with travel technology specialists working on industry-specific systems that bank on behavioral economics and artificial intelligence (AI) algorithms and IATA’s standard NDC envisioning up all offers being crafted from airlines’ Offer Management System with no filed fares to be used. There are offerings that work in conjunction with both ATPCO-based fares as well as non-ATPCO fares managed directly by the airline. On the other, the decades old methodology of pricing an itinerary, for instance, in case of two full-service carriers combining to serve a passenger means that taking a big leap isn’t a straightforward task. “Dynamic pricing is very complicated. There are a couple of pilots at this juncture (pricing engines with such capabilities starting to emerge or being developed today). The industry is getting closer, with specialists getting ready for implementation,” shared a source. “Implementations have different aspects to it though. Considering that an airline has a large portion of revenue being garnered via a GDS or features an interline partner (since airlines currently publish fares to specialized organizations managing fare and rule data which is accessed by entities like GDSs), then it would need filing of fares of pricing an itinerary. It's difficult to collaborate with interline and codeshare partners on joint itineraries. The indirect distribution systems rely entirely on booking classes and published fares. It would take a while for dynamic pricing to take full adaptation into the industry.” This aspect can’t be ignored as current functioning is deeply entrenched, since booking classes also feature in many associated processes - in corporate travel contracts, agency agreements, and interline and codeshare agreements. So what can be the turning point? Retailing for airlines as desired in today’s digital era requires negating several challenges, and the list includes distribution and technological-related ones for all airline commercial systems. Other areas include change management, people with the right skill set and approach (for instance, growth mindset), and training people. But such transformation won’t be easy, considering reliance on booking classes and published fares. Also, as IATA also acknowledges, the implementation of Dynamic Offer Creation involves a parallel transformation within distribution and internal systems that will necessitate a different outlook and considerable financing in the time to come. Hear from senior industry executives about the retailing and NDC at this year’s Ancillary Merchandising Conference, scheduled to take place in London, UK (9-11 April, 2019).